and i can’t tell who’s to blame. Natalie N. Caro is a Bronx-born poet and a 2015 Pushcart Prize Nominee. She holds a B.A. 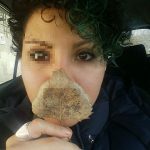 in English Literature and Philosophy from Lehman College/CUNY where she currently teaches composition and an MFA in Poetry from City College/CUNY where she was selected as one of the first recipients of the Creative Writing Fellowship. Sometimes, she swears that school saved her, but then she thinks about colonization of the mind and feels some type of way. Natalie likes to tweet at bars about teeth and trauma. Interested in submitting your work for publication? 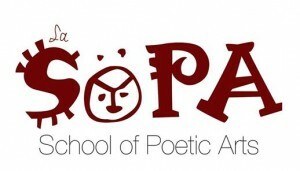 The School of Poetic Arts (#LaSoPANYC) is an educational workshop series from Capicu Culture that provides a communal space dedicated to the development of artistic skill and exploring the core principles of theatrical and literary expression. Join us as the first official class of our Artist residency at The Loisaida Center, Inc! As artists and scholars from historically marginalized communities, we feel that it is important to create opportunities for our stories to be seen, read, and heard. La Sopa provides a platform for those voices to be supported and uplifted, increasing the proliferation of creative works across the artistic spectrum. Our time together, generating and editing works, launching new ideas and projects, is an inspirational way to end each week and begin anew. We look forward to the return of our previous participants, as well as the addition of new voices that will enrich the experience.